News from Cadillac Headquarters Cadillac Racing Teams as well as other informational updates that pertain to the V-Series line of vehicles. “The way that we started, I was just thinking that we needed to collect points,” Albuquerque added. “When I got in, the car was just great and the strategy was great as well. Over the last 15 laps the rear was gone and that's why the Penske cars started closing in. I knew that they wanted the win badly and they were pushing hard. Ricky Taylor was waiting for me to make a mistake, he had caught me very quickly from over 6 seconds back. I knew we didn’t have the speed the Acura’s or Mazda, but at a narrow track like Long Beach catching is one thing, overtaking is another." 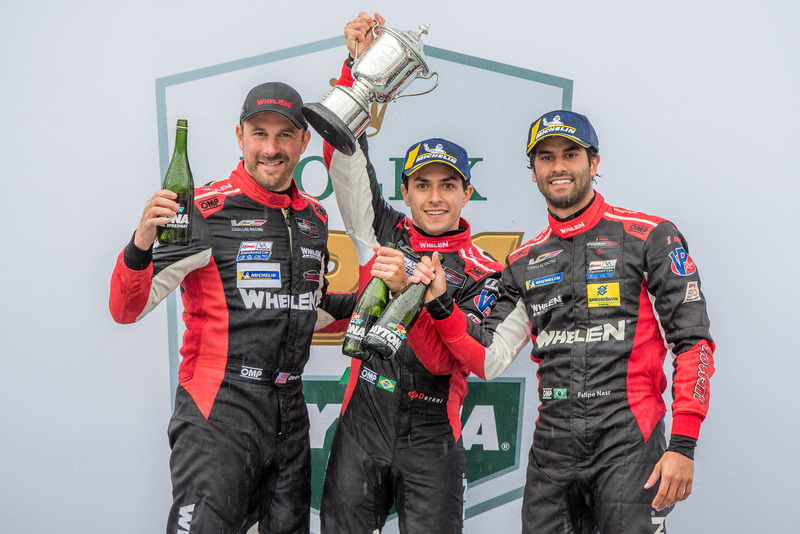 Daytona Beach, Fla. (27 January 2019) – Whelen Engineering Racing took its second consecutive Rolex 24 At Daytona runner-up finish on Sunday, with Felipe Nasr, Pipo Derani and Eric Curran fighting at the front with the red and white No. 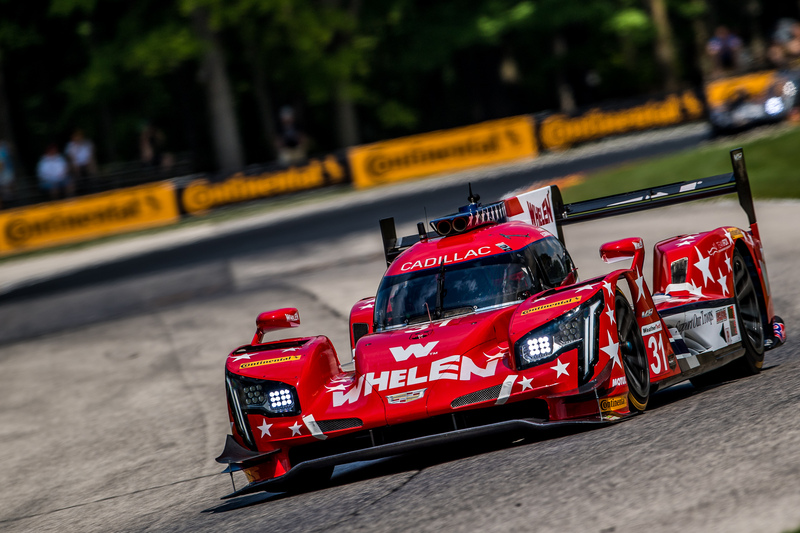 31 Whelen Engineering Cadillac DPi-V.R but was unable to clinch the win after the race was called early. 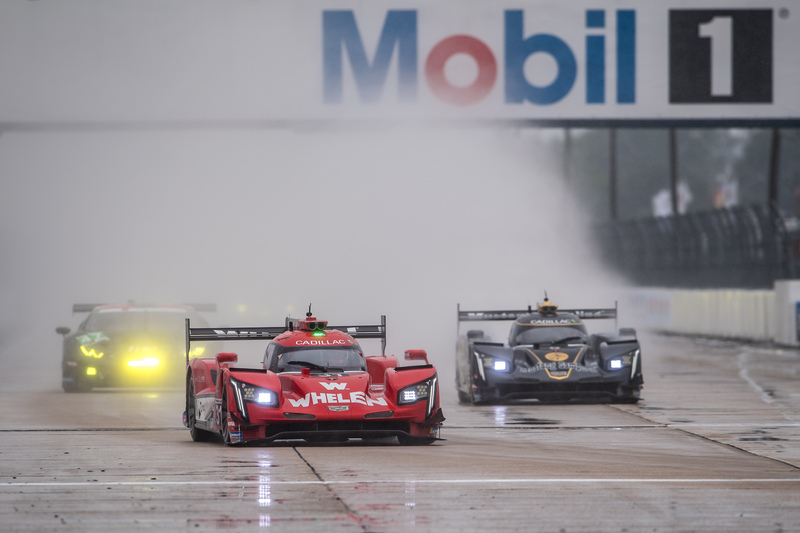 Treacherous conditions led to the race going to caution with just over two hours remaining, leading to a second red flag that eventually ended the IMSA WeatherTech SportsCar Championship season opener after 23 hours, 50 minutes. Unfortunately for the team, the caution came only four minutes after Nasr had slid through a pool of standing water and lost the lead in Turn 1, handing the lead - and victory - to the No. 10 Cadillac entry. 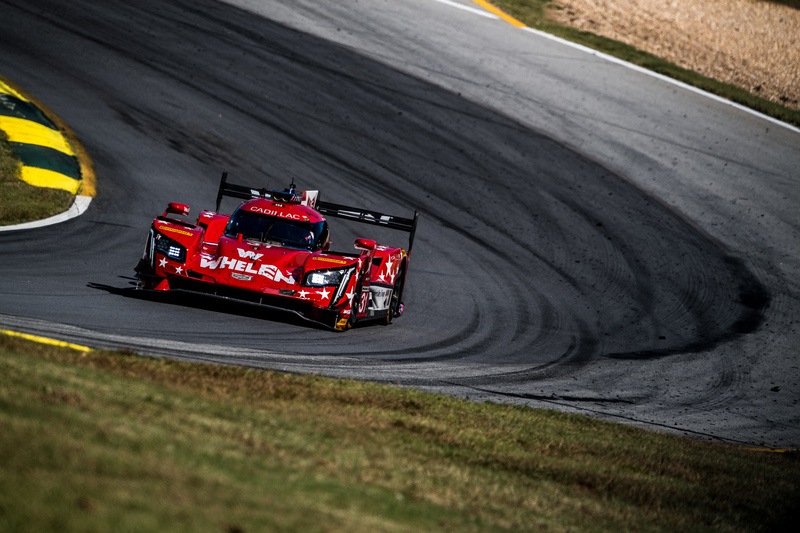 Nasr quickly recovered and continued, but ran out of time in a bid to challenge the race-winning Cadillac as IMSA once again moved the race to a caution period before calling a red flag and then early checkers. “This race was totally insane, one of the most challenging races I’ve done here,” Curran said. “The weather was key. Early on, it was dry, there was some really good racing, I had a lot of fun in the car both during the day and at night. There were a lot of good battles with some good people, good teams, and we ran in the top three most of the race. All three drivers had turns in the lead, with the No. 31 Whelen Engineering Racing Cadillac out front 10 times for 97 laps. 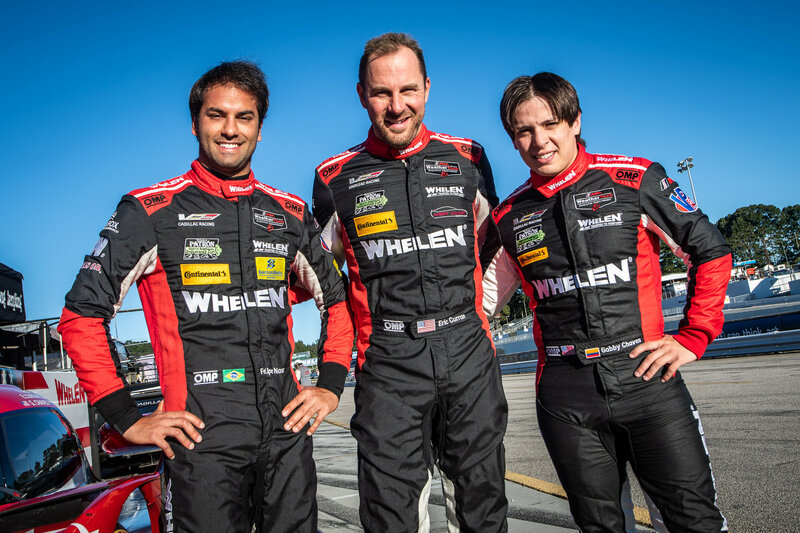 Derani made his first start for the team, with the 2016 Rolex 24 winner leading twice for 26 circuits. The team made the call to keep Nasr out on track while the other contenders pitted prior to the six-hour mark. 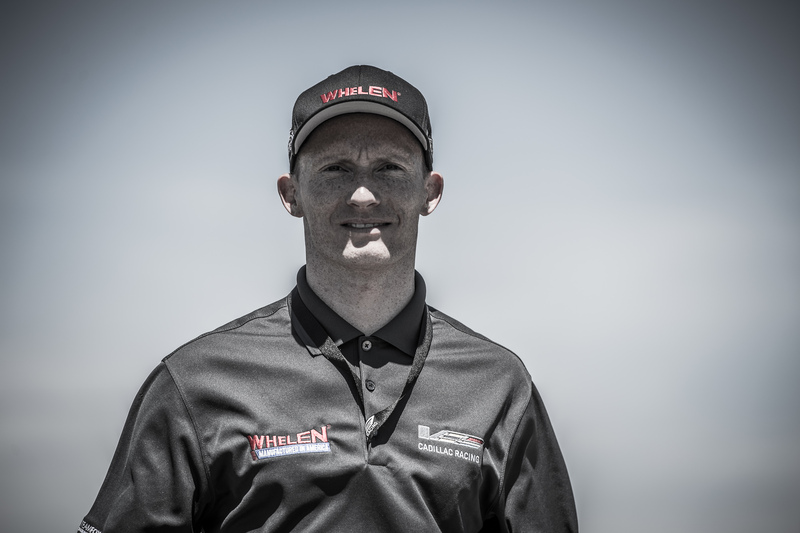 That gave the team five points towards the Michelin Endurance Cup, which Action Express Racing is seeking to win for the sixth consecutive year - including the 2018 cup title for Whelen Engineering. The four bonus points at the finish gave the team 13 points, a good start heading into the endurance classics at Sebring, Watkins Glen and Road Atlanta. 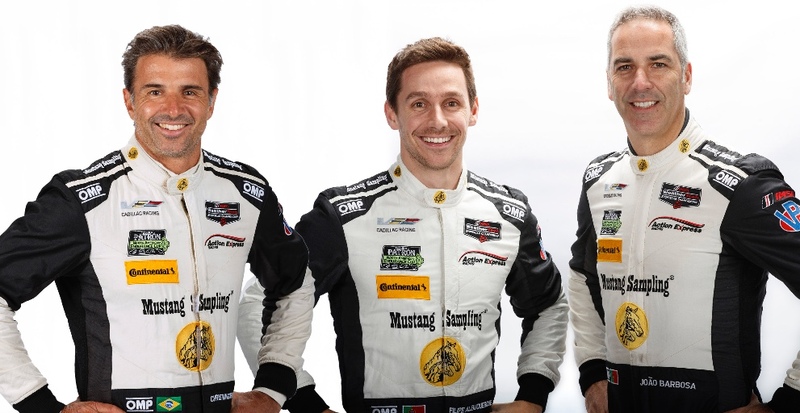 DAYTONA BEACH, Fla. (19 December 2018) –Mustang Sampling Racing has finalized its 2019 Rolex 24 At Daytona driver line up with a firm focus on a successful defense of its 2018 victory in the the prestigious event to open the 2019 IMSA WeatherTech SportsCar Championship season. 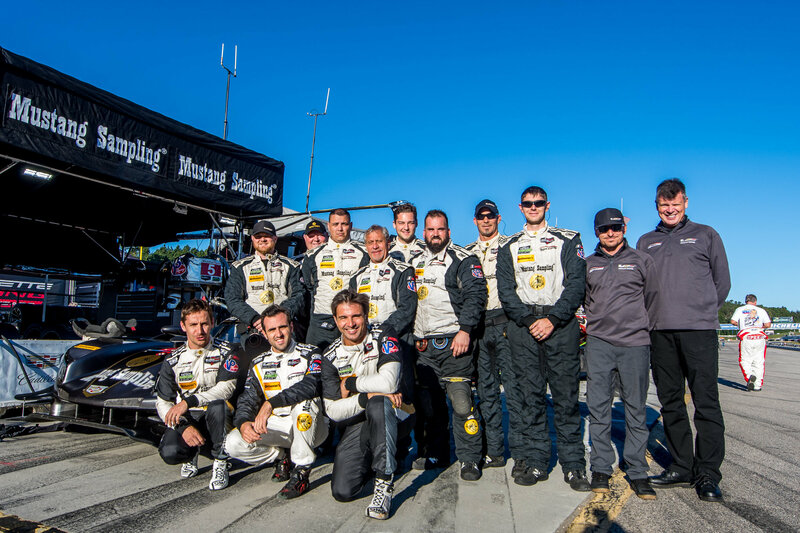 The race is the 57th anniversary running of the Rolex 24 At Daytona, and will mark the launch of the fifth season of partnership between Mustang Sampling and Action Express Racing. 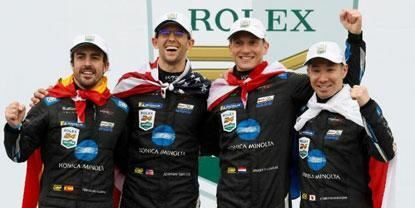 Having announced that the full-season driver pairing of Joao Barbosa and Filipe Albuquerque will be joined by Christian Fittipaldi in his final Rolex 24 At Daytona IMSA Prototype outing, the team has now confirmed the signing of Mike Conway to the driver roster for the season-opening race on January 26-27. The talented Briton has made several starts with Action Express Racing, and the Rolex 24 outing will mark the first time that Conway will carry the Mustang Sampling colors. Conway raced with the No. 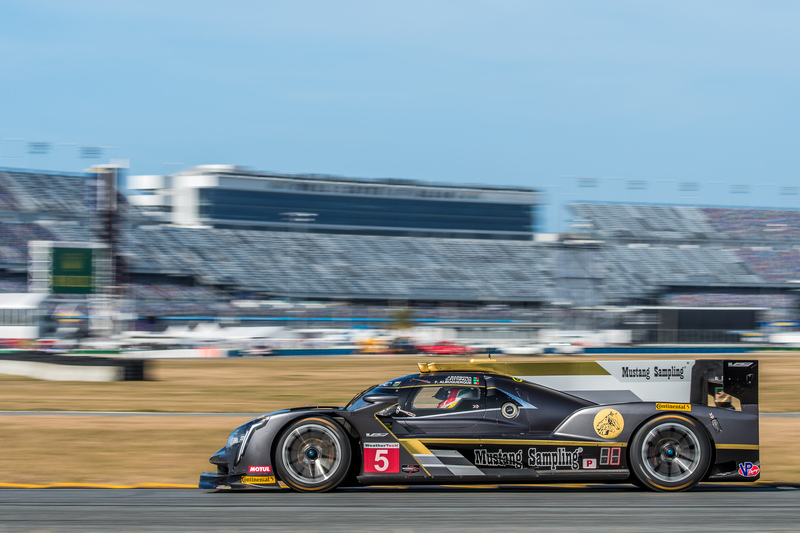 31 Cadillac DPi-V.R for Action Express in three races in both 2017 and 2018, netting a runner up result in the Rolex 24 At Daytona, third in the 2018 12 Hours of Sebring and second in the 2017 Petit Le Mans at Road Atlanta. 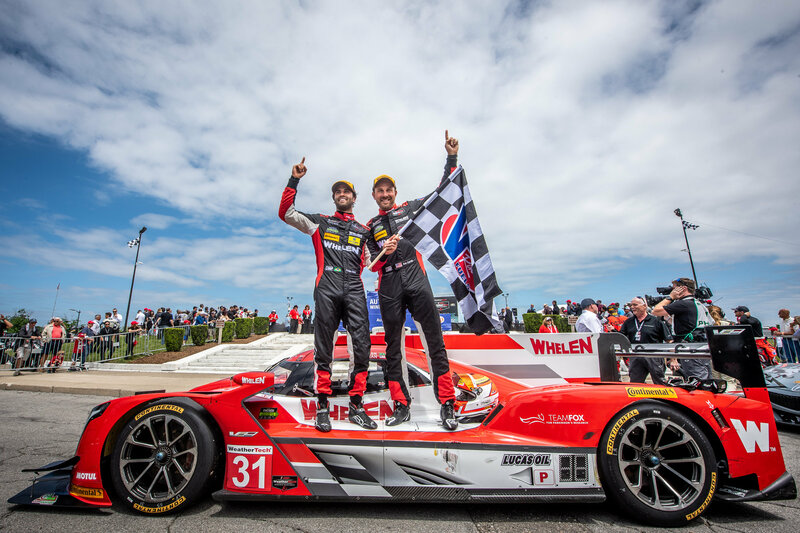 In addition to his accomplishments in IMSA, Conway is a multiple winner in IndyCar competition and a two-time 24 Hours of Le Mans podium finisher. He currently holds second in the LMP1 standings of the 2018-19 FIA World Endurance Championship with three races remaining, having won the six-hour races at Fuji and Shanghai for Toyota this year. Mustang Sampling Racing will continue preparations for the Rolex 24 At Daytona with three days of testing at the Roar Before the 24 on January 4-7. 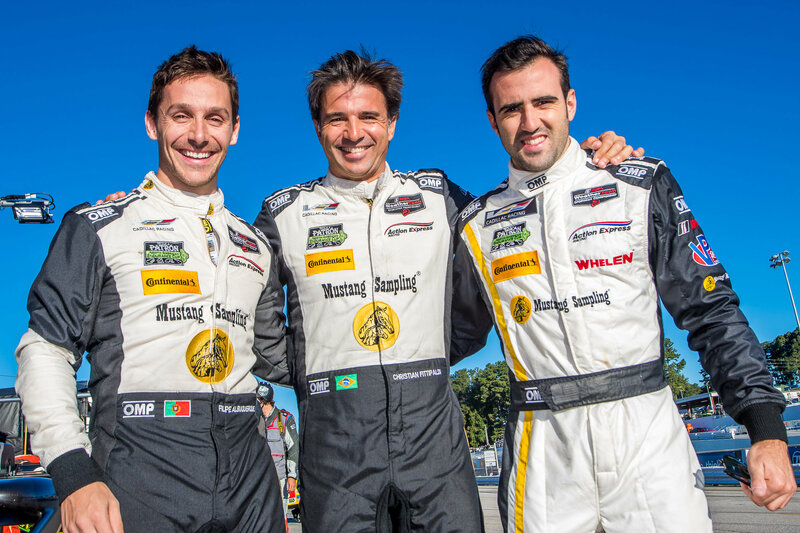 The three-time and co-defending IMSA TPNAEC Champion, João Barbosa returns to Action Express Racing to drive the familiar #5 gold, black and white Mustang Sampling Cadillac DPi-V.R seeking his third IMSA WeatherTech Championship at the pinnacle of North American sports car competition. João resides in Charlotte, NC with his wife and two sons. He is an avid runner and cyclist. Filipe joins the defending Tequila Patron North American Endurance Cup and two-time IMSA WeatherTech SportsCar Championship winning No .5 MustangSampling Cadillac Dpi-V.R for the full 2018 IMSA campaign. Filipe resides in his hometown of Cambria, Portugal. 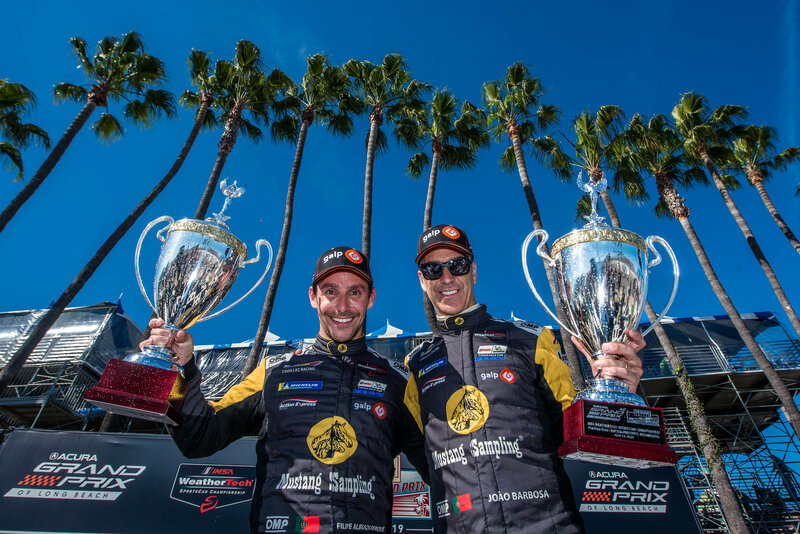 Two-time IMSA WeatherTech SportsCar Champion driver Christian Fittipaldi returns to Action Express Racing for his sixth full season of competition following a fourth consecutive Tequila Patron' North American Endurance Cup title with co-driver João Barbosa. Fittipaldi has been appointed Sporting Director for Action Express Racing, and will continue to race in the endurance events starting in 2018. Outside of sports car racing, the Brazilian satiates his need for competition by racing in mountain bike and karting events, both in the U.S. and his home country of Brazil. Mustang Sampling, LLC is the innovator of Analytically Accurate® solutions within sample conditioning systems. We provide custom solutions of products and services globally to the Natural Gas, Natural Gas Liquids (NGL), and Liquefied Natural Gas (LNG) industries. Mustang Sampling continues to pioneer integrated control systems, allowing our customers to maintain phase stability from sample extraction at the pipeline through sample analysis. Our products are continuously improved and subjected to the highest quality standards which provides our customers with the best sample conditioning solutions. The No. 10 Konica Minolta Cadillac DPi-V.R trio of Jordan Taylor, Renger van der Zande and Ryan Hunter-Reay ended one of their team’s most challenging seasons to date with a much-neeed exclamation point as van der Zande’s dramatic pass for the lead two corners from the finish line brought home the victory in the 21st annual Petit Le Mans IMSA WeatherTech SportsCar Championship endurance marathon at Road Atlanta. 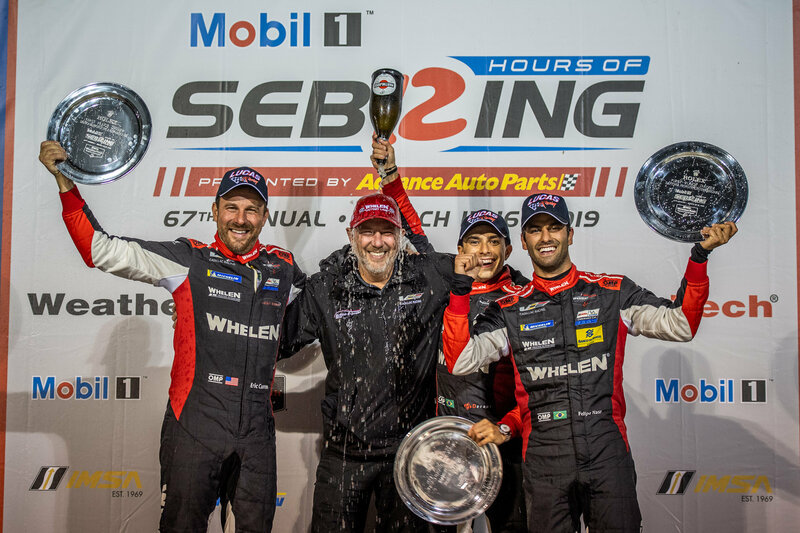 It was the team’s only victory of 2018 and kept alive a streak of 15 consecutive seasons with at least one win since team owner and three-time sportscar-racing champion Wayne Taylor and his long-time business partner and former co-driver Max “The Ax” Angelelli first fielded the No. 10 Prototype in Grand-Am Rolex Sports Car Series competition in 2004. 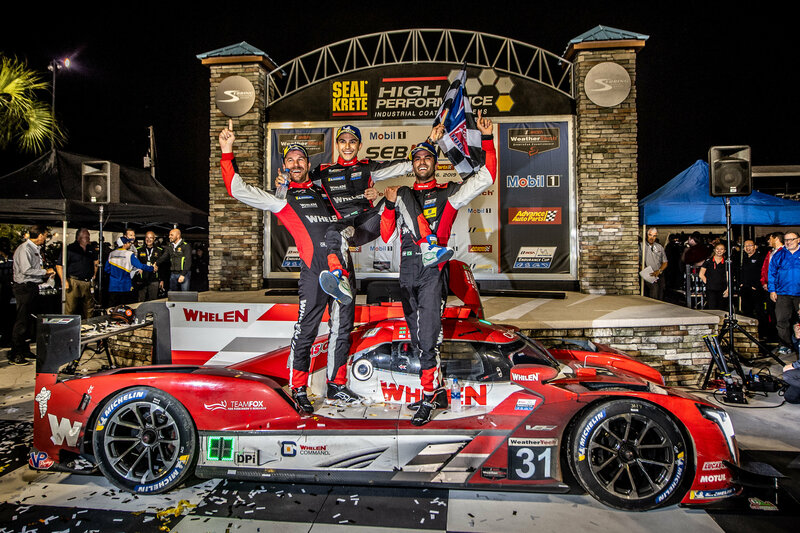 The victory, the team’s second at the iconic 10-hour race since 2014, also solidified a third-place finish in the final championship standings after having clinched the 2017 championship at this event a year ago. After struggling to qualify 12th for today’s race, victory might have seemed improbable for the No. 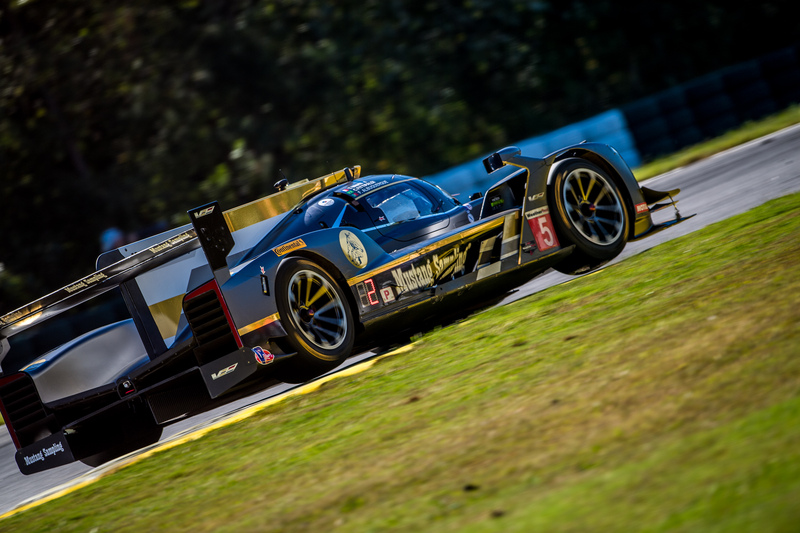 10 Konica Minolta Cadillac DPi-V.R team, even though it has mastered the art of contending for wins in time and again in the series’ iconic endurance events at Daytona, Sebring, Watkins Glen and Road Atlanta over the last decade and a half. The 32-year-old van der Zande, who replaced Ricky Taylor as Jordan Taylor’s full-time co-driver at the outset of 2018, drove a patient opening stint in working his way into the top-10. He handed the car over to Taylor at the one-hour, 13-minute mark during the first caution period of the race, and lightning-quick work by the crew enabled Taylor to restart just outside the top-five. 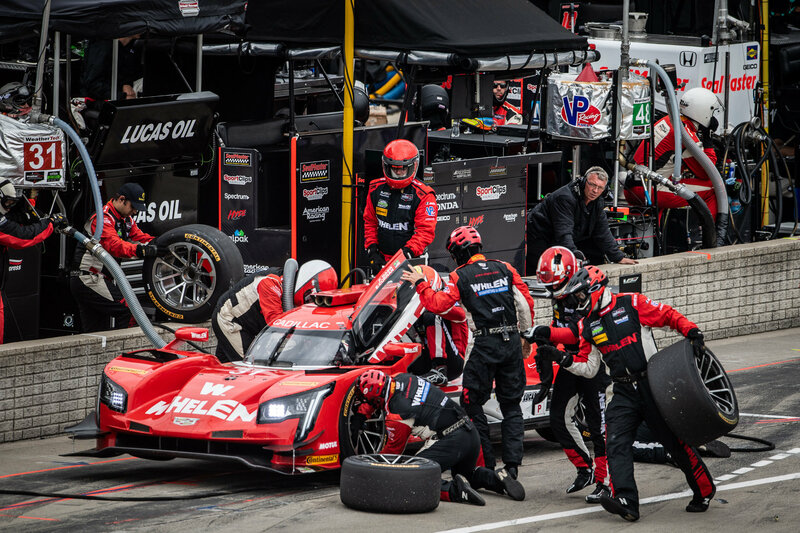 Taylor and Hunter-Reay on their opening stints, and then van der Zande during his second stint, took charge over the next five and a half hours and, with the help of consistently quick pit stops and driver changes, kept the No. 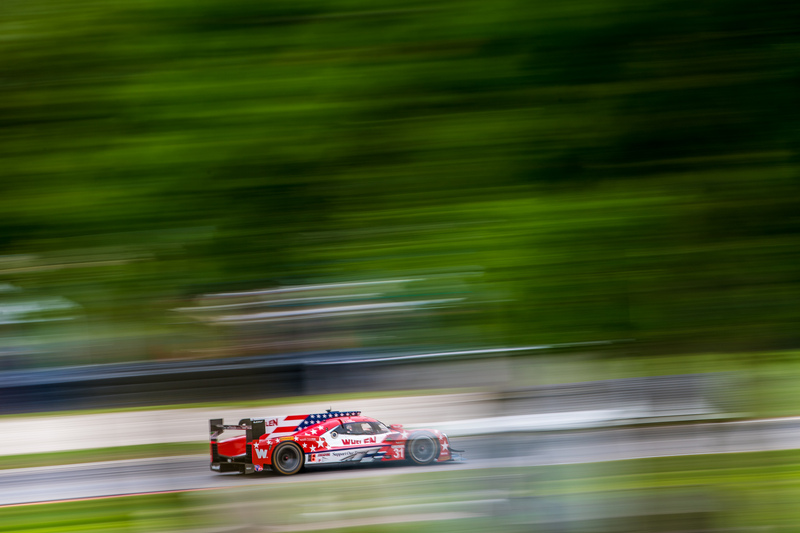 10 Konica Minolta Cadillac DPi-V.R in and around the top-five. The Dutch driver first took the lead during a round of green-flag pit stops at the six-hour, 45-minute mark, and he and Taylor were able to lead 55 of the next 60 laps until just past the eight-hour mark. Van der Zande took over with 92 minutes remaining in the race and would take the No. 10 Konica Minolta Cadillac DPi-V.R the rest of the way. He rejoined the race in fifth place and gradually worked his way toward the front during the initial fuel-and-tire run, leading the final five laps before making his final fuel-and-tire stop with 43 minutes remaining. He resumed in third place behind the No. 5 Action Express Racing Cadillac DPi-V.R of Felipe Albuquerque and the No. 22 Tequila Patron ESM Nissan of Pipo Derani. Van der Zande passed Derani with seven minutes to go in the race, and he carefully bided his time in chasing down Albuquerque for the lead as the team suspected the No. 5 Cadillac would not have enough fuel to get to the checkered flag. It was a nail-biting final few minutes as a determined Albuquerque was able to hold off van der Zande. But finally, just two turns from the finish, the No. 5 car sputtered and van der Zande got around him on the outside and took the win. 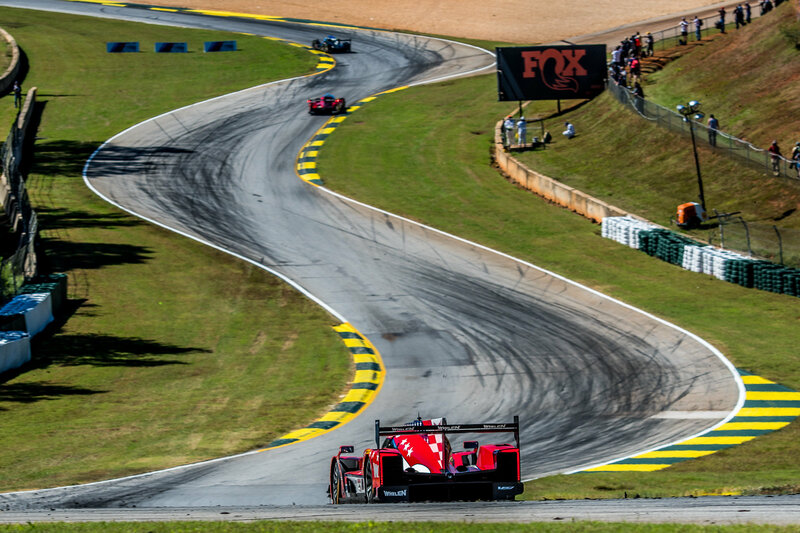 BRASELTON, Ga. (13 October 2018) – After winning the season-opening Rolex 24 At Daytona, Mustang Sampling Racing came only one turn shy of bookending the IMSA WeatherTech SportsCar Championship, running out of fuel virtually in sight of the checkered flag for Saturday's 21st Motul Petit Le Mans after 10 hours of intense racing at Road Atlanta. Filipe Albuquerque dominated the final two hours in No. 5 Mustang Sampling Cadillac DPi V-R co-driven by Christian Fittipaldi and Tristan Vautier, pacing the field twice for 38 laps after a pair of on-track passes. He passed Jordan Taylor out of Turn 3 to take the lead with just under two hours to go, and led through his final pit stop. Albuquerque then passed the Nissan of Pipo Derani with 27 minutes left and led the field through the final lap. 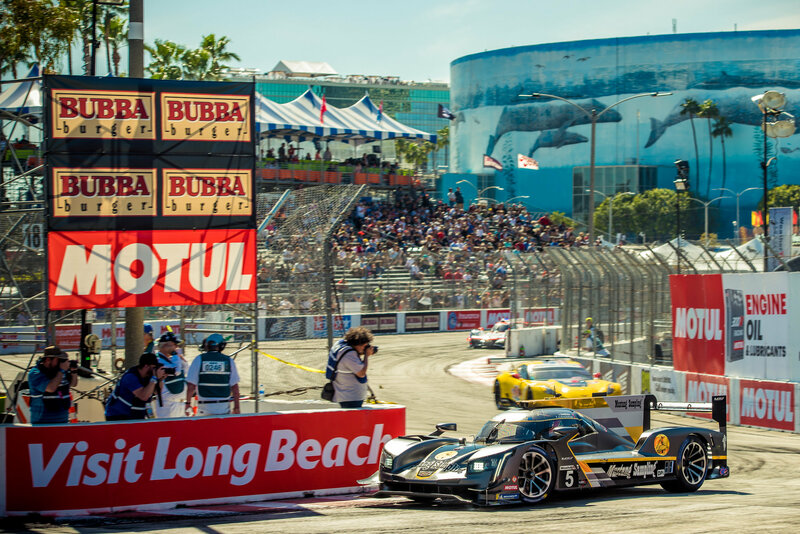 Albuquerque also won at Long Beach with Barbosa, who did not drive at Petit Le Mans after fracturing a rib in a lap one incident at the most recent event at WeatherTech Raceway Laguna Seca. While they did not lead the race during the opening eight hours, Albuquerque, Fittipaldi and Vautier kept the team in contention, with each driver running as high as second. Vautier was available to fill in on short notice due to his regular team – Spirit of Daytona Racing – not participating in the finale. The finale was bittersweet for Fittipaldi, who stepped aside from regular driving duties to serve as Action Express Facing's sporting director. The 2019 season-opening Rolex 24 At Daytona will be his final IMSA Prototype race. 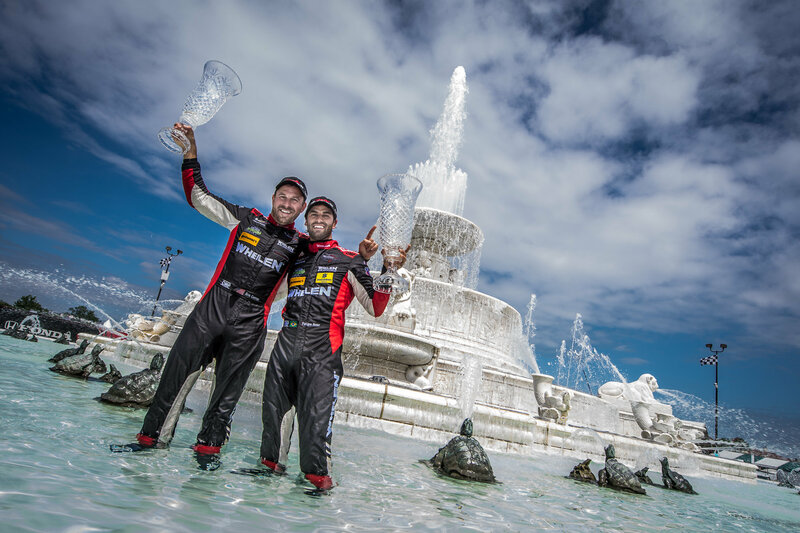 Elkhart Lake, Wisc (5 August 2018) Whelen Engineering Racing drivers Felipe Nasr and Eric Curran finished third in Sunday’s Continental Tire Road Race Showcase with the No. 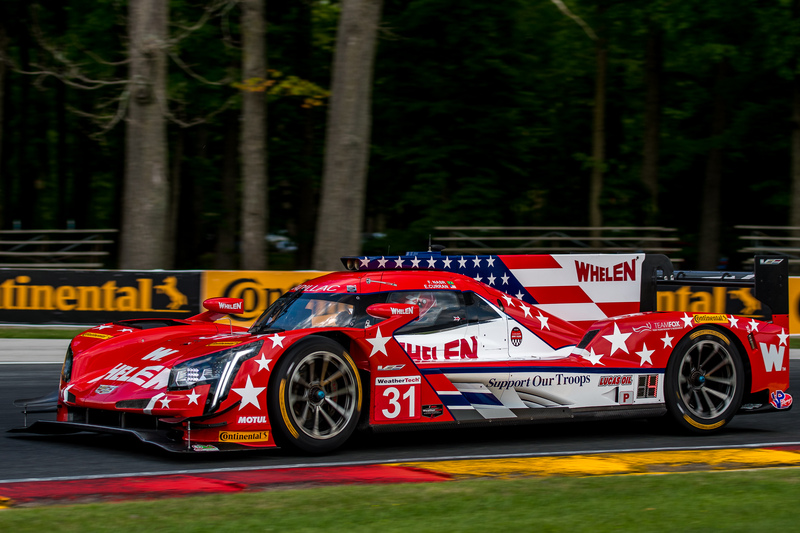 31 Whelen Engineering Racing DPi-V.R. 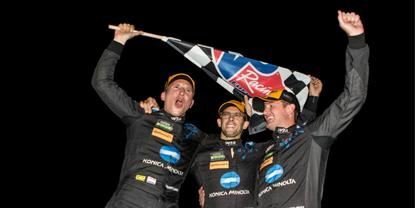 The result is the second consecutive podium finish for the duo after scoring third at Canadian Tire Motorsport Park in July as the first-year pairing grew their advantage in the IMSA WeatherTech SportsCar Championship with two rounds of racing remaining in the season. 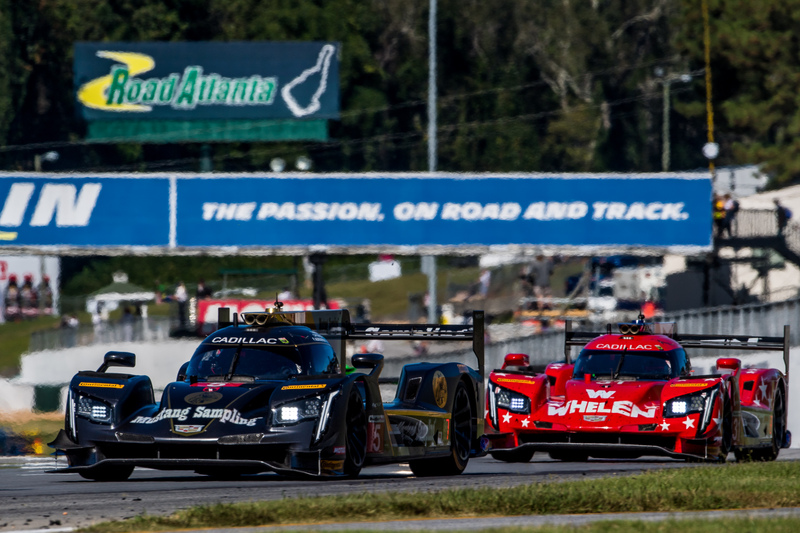 Curran started the race from seventh on the grid and moved up to run in sixth by the fourth lap, although he suffered damage to the Cadillac Prototype in the early laps with the typical hard fought racing that IMSA WeatherTech fans have come to expect. Despite the damage, Curran held the position until a quick call from Whelen Engineering Racing performance engineer Tim Keene saw Curran take to the pits on lap 15. A fast stop for fuel, tires, and a driver change to Nasr came at an ideal time as the field was slowed for a full course caution. The exchange saw the Whelen Engineering Cadillac up front for the Lap 19 restart, with Nasr holding the point for 37 of the next 39 laps. A lap 58 final stop for fuel saw Nasr return to the fray fifth in the order. Fully fueled, Nasr made a hard charge to the finish, clicking off fast laps as he looked to retake the lead. 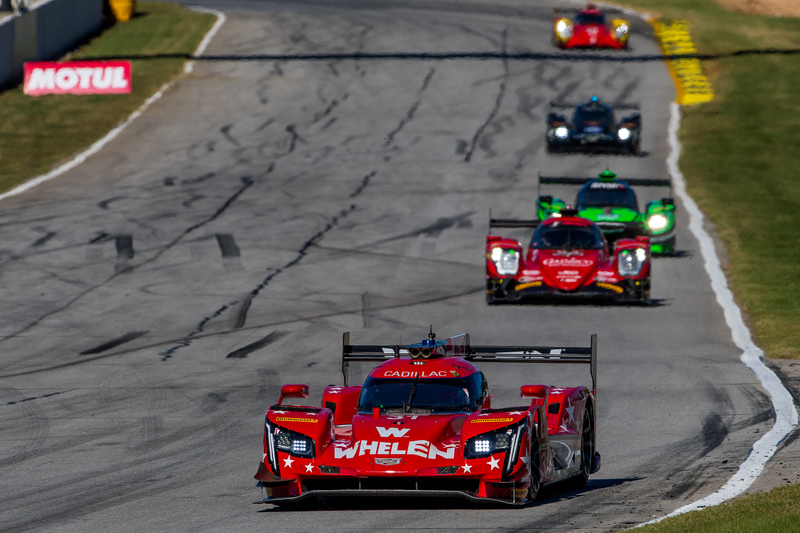 That charge back to the lead was only halted when the two leading Prototype machines were able to go all the way to the finish before both ran out of fuel on the cool-down lap. While the strong run up front had promised another possible victory for Nasr and Curran, the podium result generated a welcome collection of points to go with the new trophies for the team. 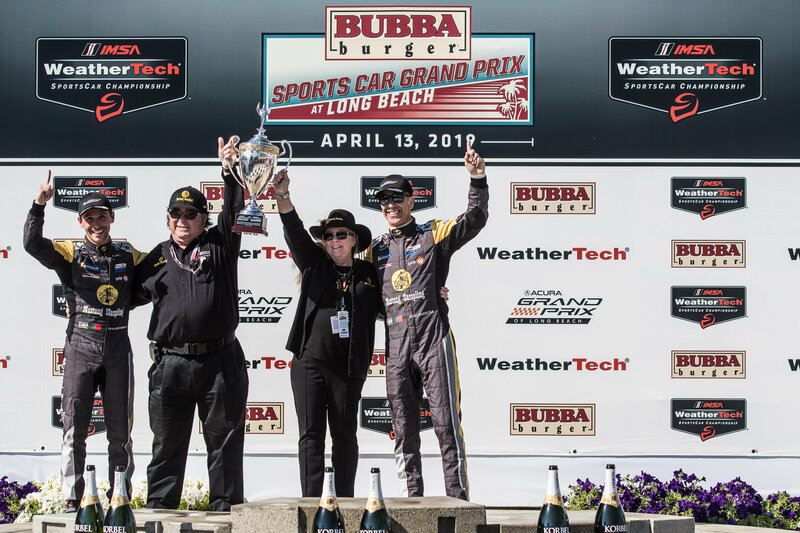 The next race for the Action Express Racing squad will be the Continental Tire Monterey Grand Prix featuring America’s Tire 250 on September 7th – 9th.